UPDATE: Did you know? I actually appear in Did You Know Gaming’s Mario Glitches video at 2:17 with footage from Fun with the Orb Glitch. 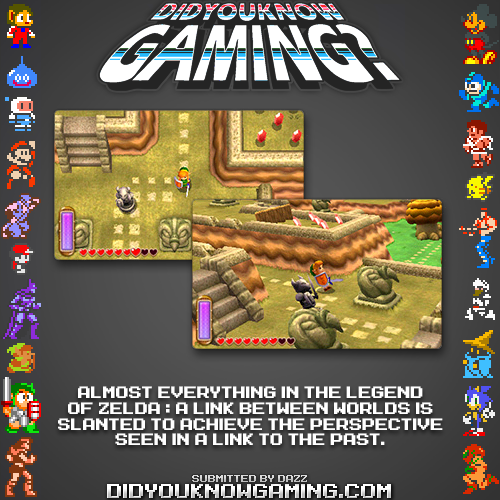 I’m glad they cite their sources too, but I liked them more when they posted images like this. Every fandom needs its useless trivia. 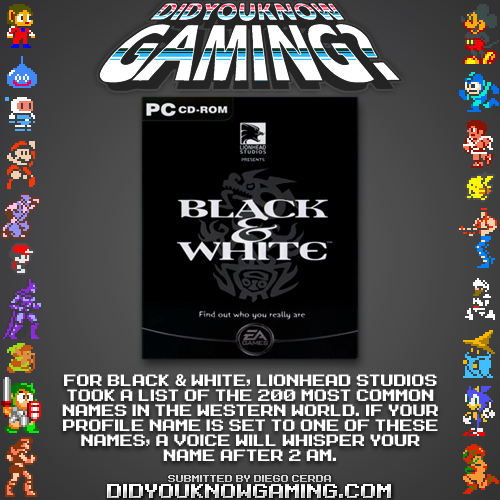 For video games, you can find tons of useless trivia at DidYouKnowGaming? Their RSS feed is perfect for this sort of thing, and it all shows up on their Facebook page too. You too can find out how in the new Zelda game on 3DS, every character and object is doing a constant Michael Jackson lean because it looks better than looking at the tops of their heads all the time. Smart stuff! 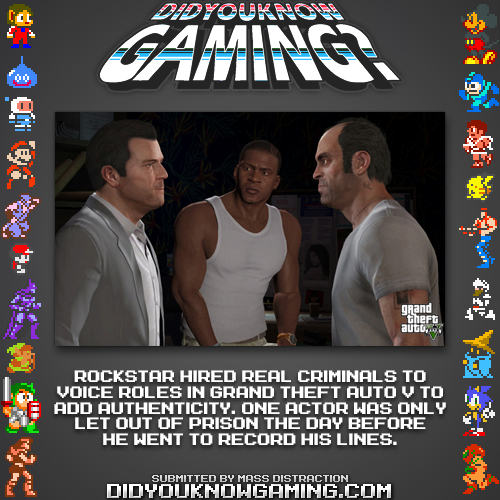 Source: Did You Know Gaming? — The Legend of Zelda: A Link Between Worlds. …, which sources Iwata Asks. 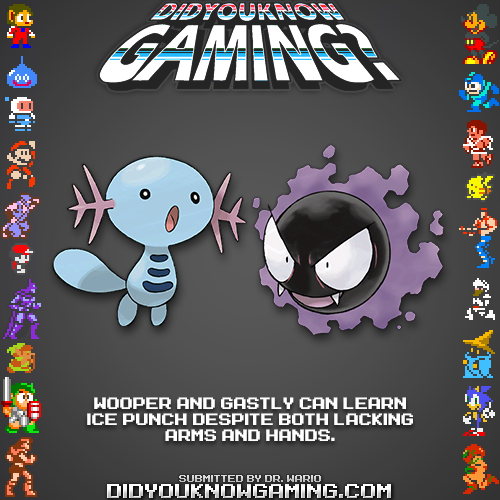 This one sources the Verge, this one sources Bulbapedia, and this one sources noctalis. Finally, YouTube.